Cities have a downtown area, or civic centre, not a CBD. Be prepared to add milk to your coffee or to leave it for a while before you drink it- the coffee is served HOT. Beware of HUGE portion sizes and order small. Try not to check your phone all the time, especially when in the subway or emerging from one- it’s been known to be whipped out of your hands. Ulmon have a great app City map pro which you can download the city in which you are travelling, and you can search it while you are offline or not connected to wifi. Thank you so much to Fiona for showing this to me. Have no sense of direction? Use a compass, or if it’s a sunny day, check shadows on the sidewalk. This is especially good if you are travelling by subway and you emerge with absolutely no idea which way to walk. 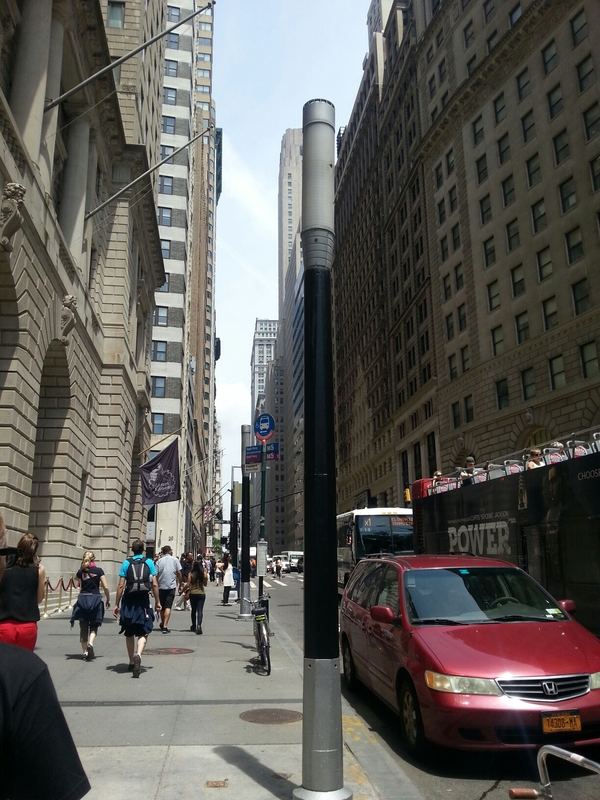 If you have an idea of the intersecting streets, you may find you are walking only a block before you realise your mistake and have to turn back. 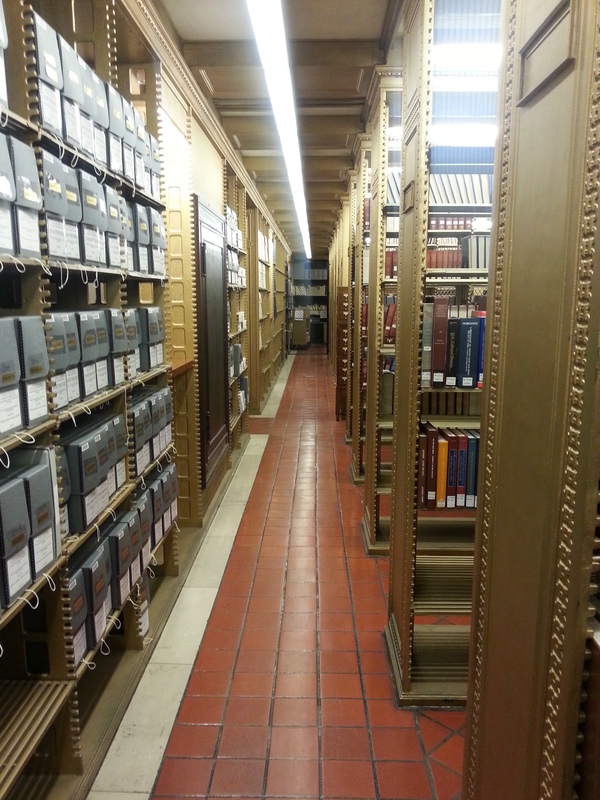 Wifi abounds in most cultural institutions such as museums and libraries and in some cities like San Francisco, in their downtown area have it available for free. Good to check for locations of shops- I found that there was a Converse store in downtown San Francisco not far from where we were that day. 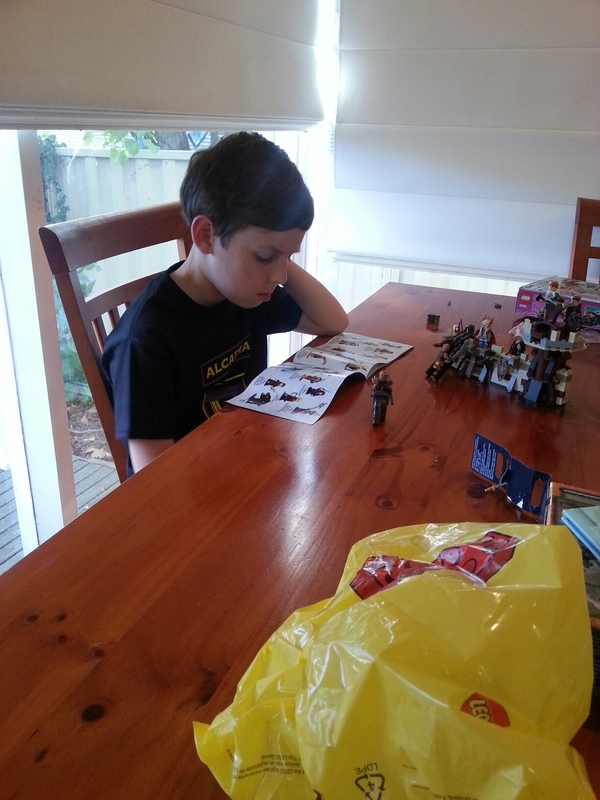 Master BG is perusing the Lego instructions for the Hobbit Lego purchased in New York from FAO Schwarz. We arrived back yesterday and due to time differences and jet lag, I have not been able to blog every day. I will be resuming transmission tomorrow, with a couple of posts to make up. 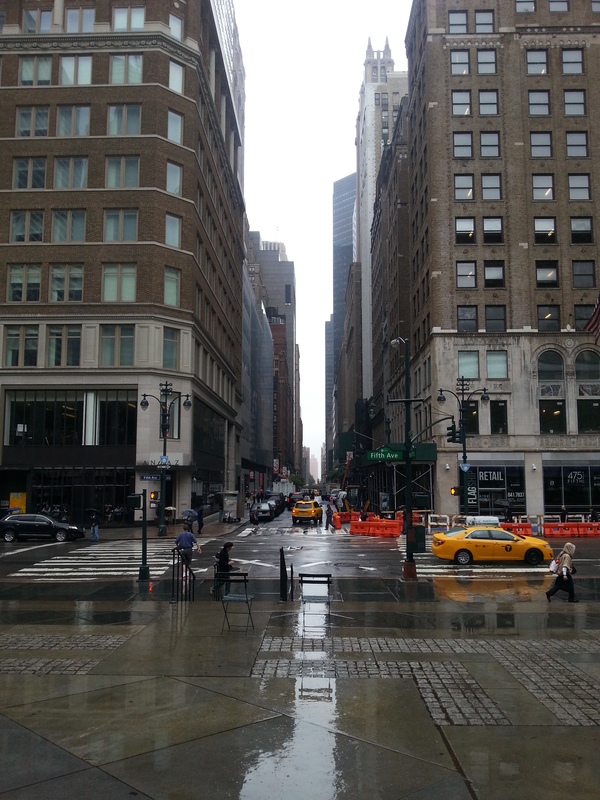 One last walk down 5th Avenue on a rainy day, I am finally getting a sense of where I am. I don’t want to leave, yet I am missing my kids and I cannot wait to feel their arms around me. It is with these mixed feelings that we depart for JFK. I never thought I would ever get a chance to visit New York, or San Francisco. 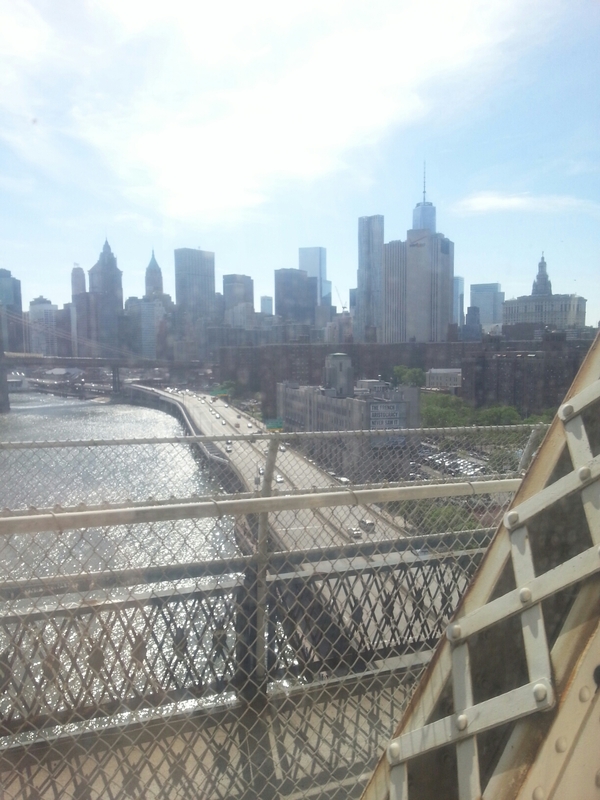 It was all I ever hoped for and more-now I know what it is like to descend into the muggy subway on a warm day, to see the Golden Gate Bridge shrouded in fog and to see the manhattan skyline at dusk. I’ve eaten bagels, pretzels, tasted a knish, and sipped cocktails. But what made the trip even more special was the people. I had the chance to meet so many friendly and hospitable people during our travels. Our air bnb hosts were lovely in San Francisco and Brooklyn. Thank you to our Brooklyn neighbours Jenelle and Bill for their hospitality and for letting us order something to be sent to Bill’s place of work. Your advice on getting a car ordered to take us to the airport was spot on! I had a great time at the Popfests and meeting the nicest people, such as Becky, Lauren, Ashley, Olive and the indiepop kids from DC. We also got to meet Phil, a musician who was also a librarian who worked at the New York Public Library, which was really cool, and Gary, who led us through Manhattan on an amazing night to remember. It was also an opportunity to spend time with the Bart and Friends extended family, which included the Zebras and their friends and family, which was wonderful. Much bonding occurred over drinks and common interests were found. Sharing an apartment with Scott, the Bart and Friends singer and his partner Fiona was also a highlight-getting to know them after knowing them for so long was great. But it was also the anonymous people who made the trip special-the park ranger on Liberty Island speaking passionately about the benefits of immigration, friendly sales assistants wishing us well on our trip, ground staff at JFK ensuring we had good seats on our flight back. So thank you America. It was a blast. How could you ever get tired of a sight such as this? 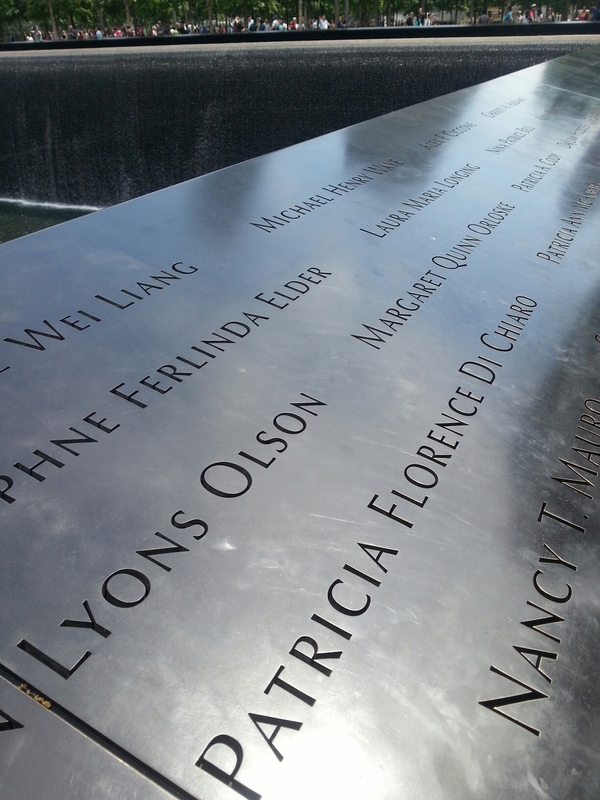 With the days in New York lessening, these are some of the moments I tried to capture. 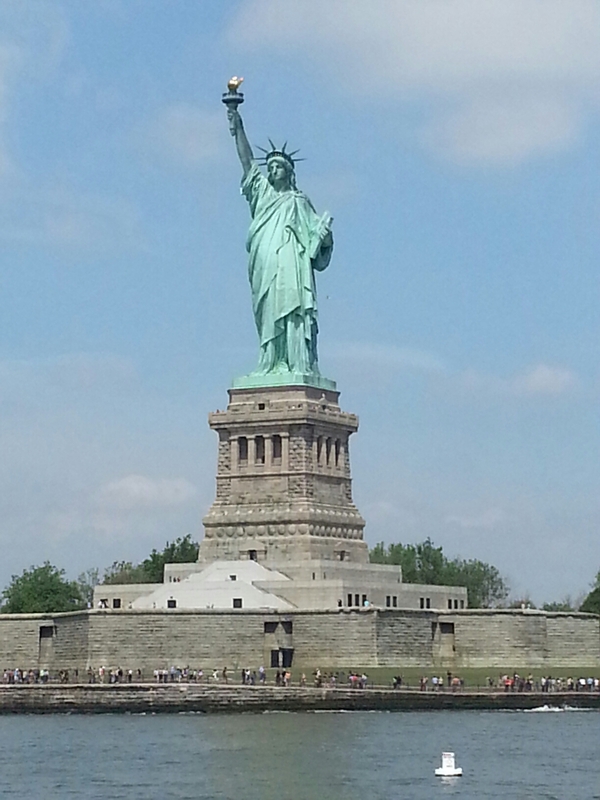 With the New York Pass, we took a ferry to Liberty Island. 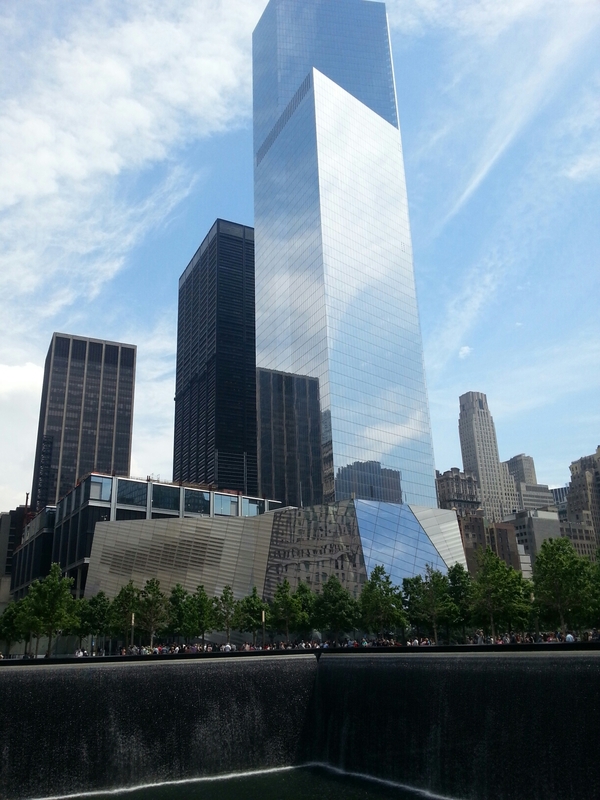 It’s an impressive monument, popular with domestic and international tourists alike. In the middle of downtown, with a massive building site next to this, people are silent. The trees rustle as the public pay their respects. Shopping for New Yorkers tends to involve buying online, and getting stuff delivered. 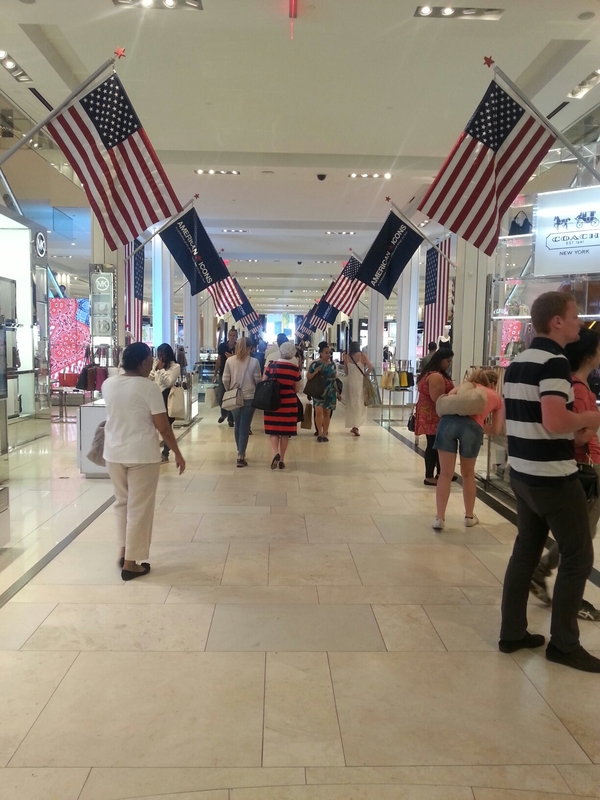 However you do learn a lot about a country through their stores. Macy’s is insane. Like Myers on steroids, with a patriotic twist. 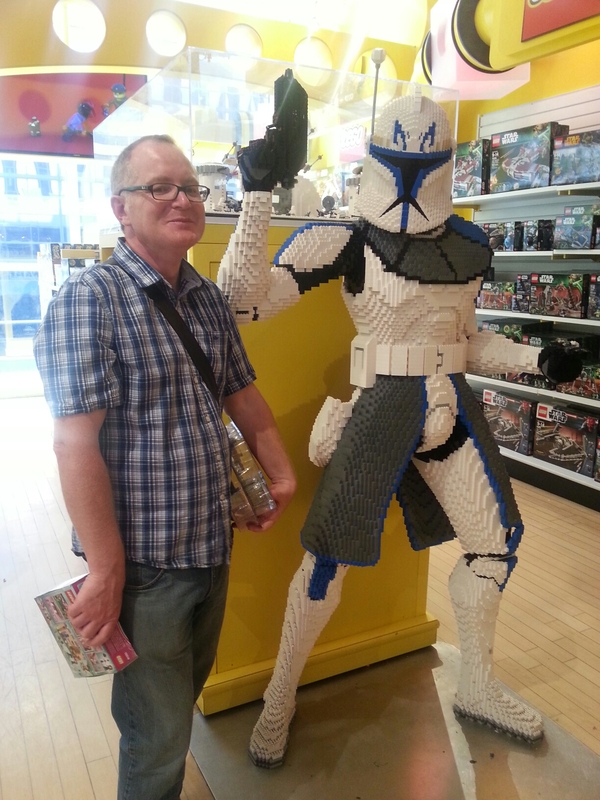 Where you can make your own mini figs, a wall of Lego bricks, and a chance to find those really obscure Lego sets that your local toy store no longer stocks. I am sure this exists for guilty parents and for parents who have never quite grown up. This was the most amazing and comprehensive toy store I have seen since Hedleys in London. You can build your own bear, build your own muppet and yes, play on the piano immortalised by Tom Hanks in Big. There were a couple of kids playing on it when we were there, but were soon pushed off by a man in his thirties wanting to play chopsticks. 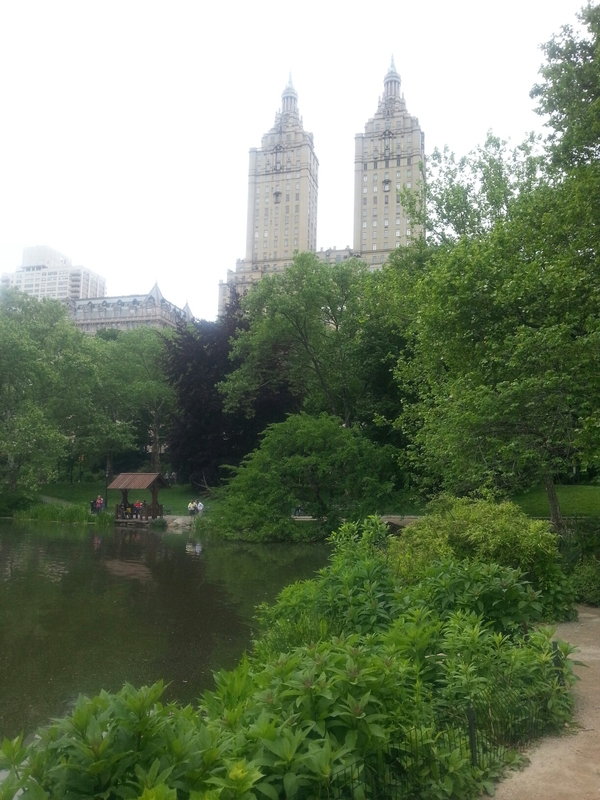 Rather than take the subway sometimes we cut across Central Park. The windiness of the paths make me lose direction, and I am constantly arguing with Mr BG where we are exactly. He’s usually right. Hearing it is another reminder that I am here. Whether it is from a sales assistant at Macy’s, an information desk attendant at MOMA, or in a lady asking for directions in the subway, it is music to my ears. The Rose Reading Room is still closed, but it is still a cool place to wander around. I manage to sit down at a table for a few moments and dream. I check out the children’s section and happen upon story time. 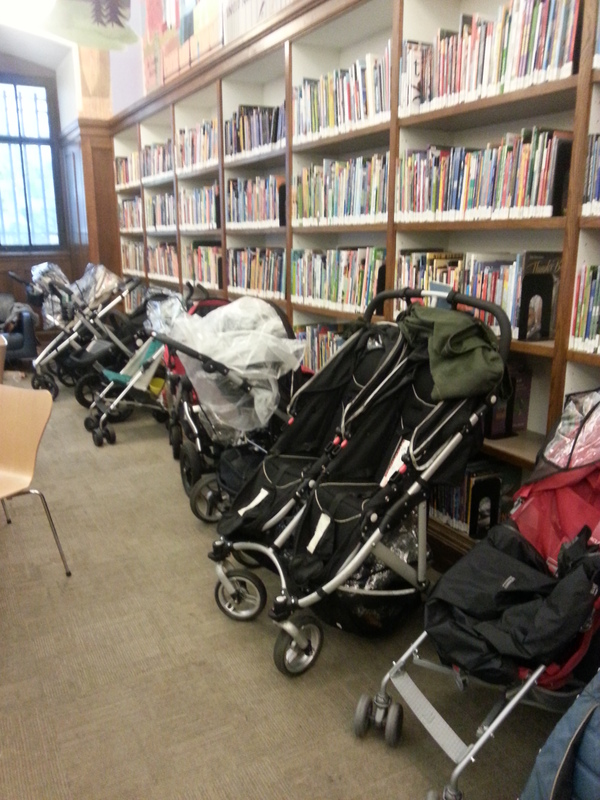 I go for a wander into the Genealogy Room and feel as if nothing has changed in the library for years. 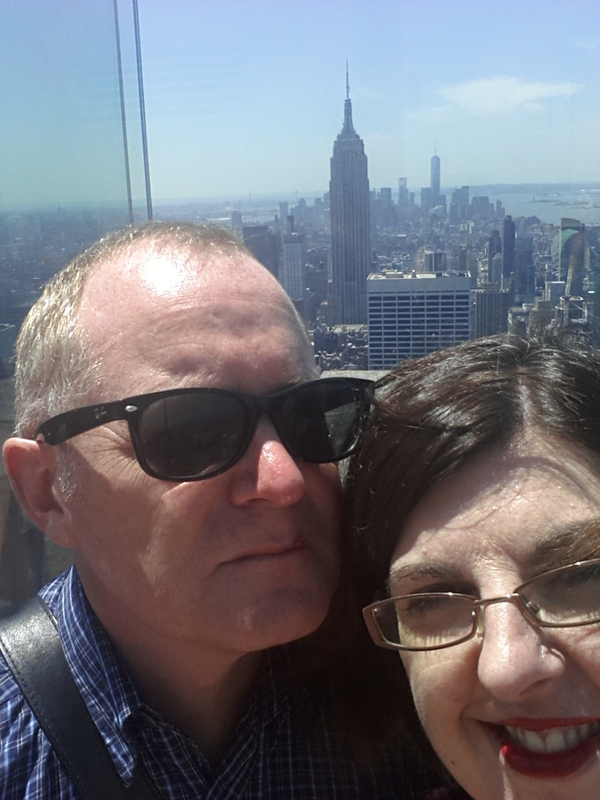 If visiting the New York Public Library was No 1 on my list of places to go, the Museum of Modern Art was No 2. The Met is a fantastic and comprehensive collection of art and I was overwhelmed by it. 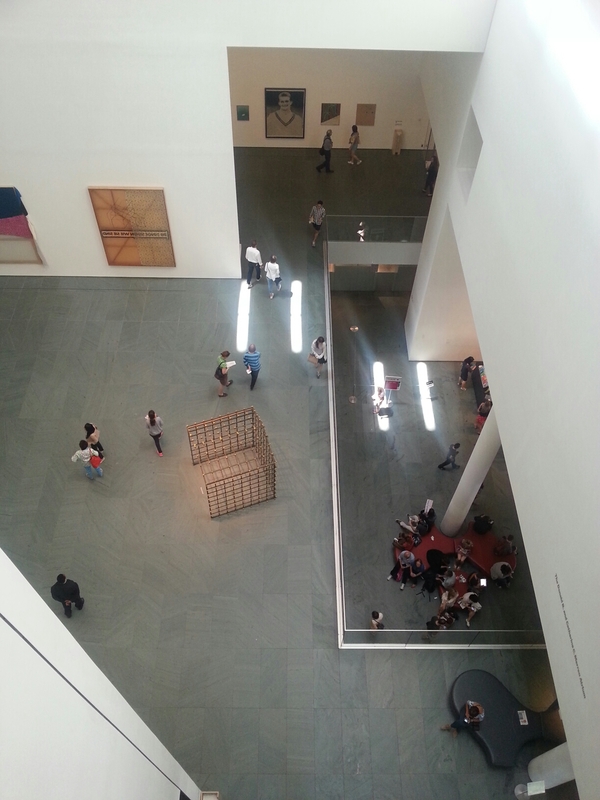 But as MOMA is more contained and has a clear collection directive, which makes for a day of Wows and tears. Art can make me cry, in a good way! The space itself is expansive and the rooms on most of the floors flow in the same direction, allowing for a feeling of familiarity to develop with the layout. It wasn’t crowded either, which was no doubt due to the fact it wasn’t school holidays or vacation time. We started from the top and worked our way down, looking at the collection in a chronological fashion. To stand in front of Van Gogh’s Starry Night and soak it up all by myself (and the security guard who stood by it). I also wished at that moment for Master BG to be here, as Vincent is his favourite artist. There were some tears at this point. 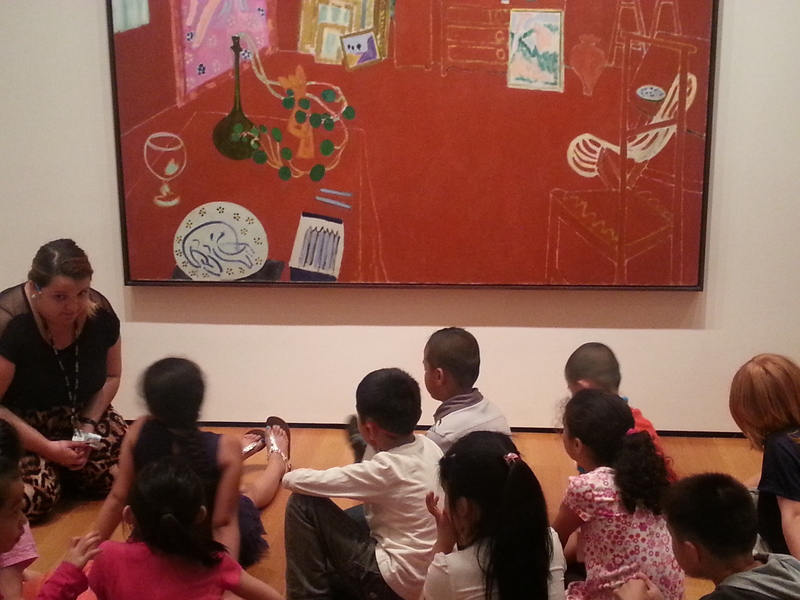 To stumble upon yet another art class to school students this time in front of a Matisse and to hear the teacher speak about his use of colour. It’s at moments like this I would wonder about moving to New York if I had a spare $10million or so. And this was just the first floor. Heading down to the next floor you are confronted by Roy Lichtenstein’s Drowning Girl, then we turned around the corner to see Warhol. 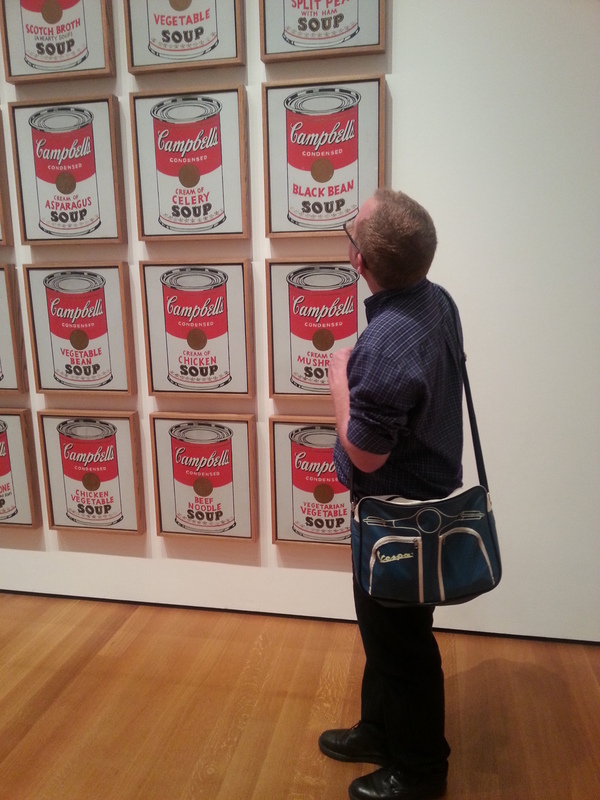 In fact a lot of Warhols! On the following floor, there was a design exhibition on Women in Design. It highlighted women’s contribution to design from the Art Nouveau period through to the present day. 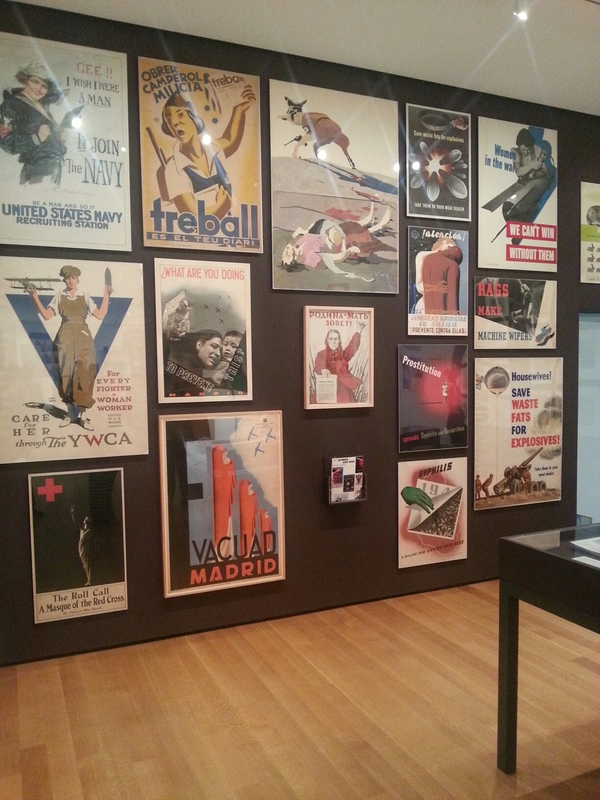 While some of the designs were poster art and photography, a lot of it centred around the home. Modern kitchen designed for small spaces was included as well as crockery and furniture. Needless to say we were blown away with the experience, and yet there was more to do. We were meeting friends for drinks in a couple of hours and we had time to spare. Could we…? 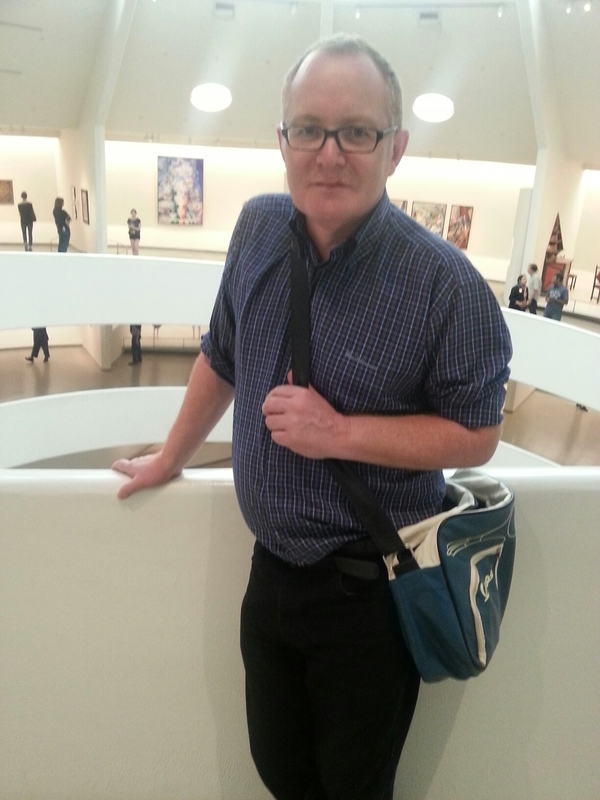 A mad dash uptown was undertaken to the Guggenheim. The building is itself an amazing work of art, in a town of amazing buildings. We arrived with less than an hour to closing and were lucky to get $3 off the admission price. What was in our favour was no queues, and due to the lateness of the day, not a lot of people in the museum. While it is an amazing building, there are a lot of challenges to it being used as a gallery space- it is circular and space is limited. There is a room devoted to post-Impressionist art, but other galleries were closed for installations of new exhibitions due to be launched in the summer months. The major exhibition was Italian Futurism, which was quite interesting, not least due to its latter incarnation being co-opted by the Fascists in the 1930s. The intersection of art used for political ends was quite interesting to explore. Mr BG also commented on its influence on Peter Savile, the graphic designer involved with Joy Division and New Order. 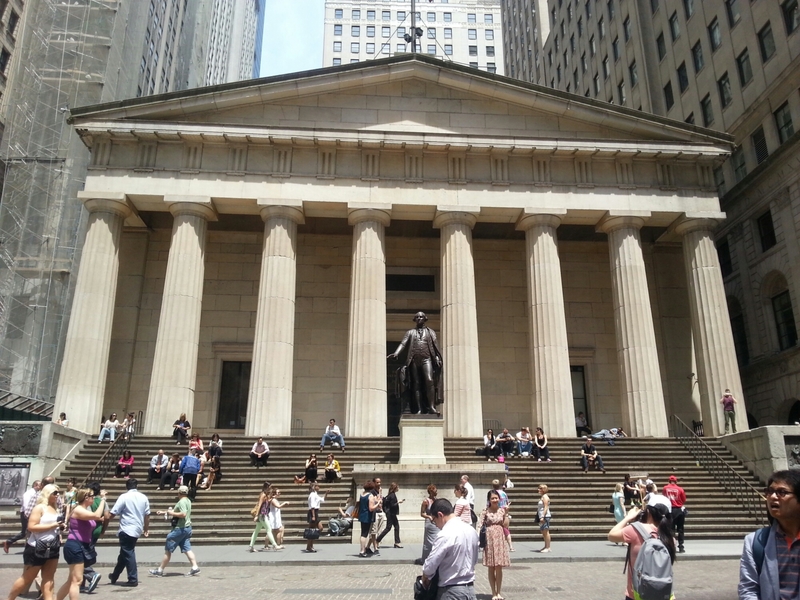 Two amazing museums in one day! This post was originally going to be entitled “Take me out to the ball game”, as we were planning on going to see the Yankees at Yankee Stadium. We are sharing an apartment with Scott and Fiona and Scott is a huge fan of baseball. A group of 7 Australians and Gary, a New Yorker, whose house was commandeered for band rehearsal, met outside the Carlyle Hotel to head to the game. However, the weather turned and it was decided that something else would happen. In fact several things happened. 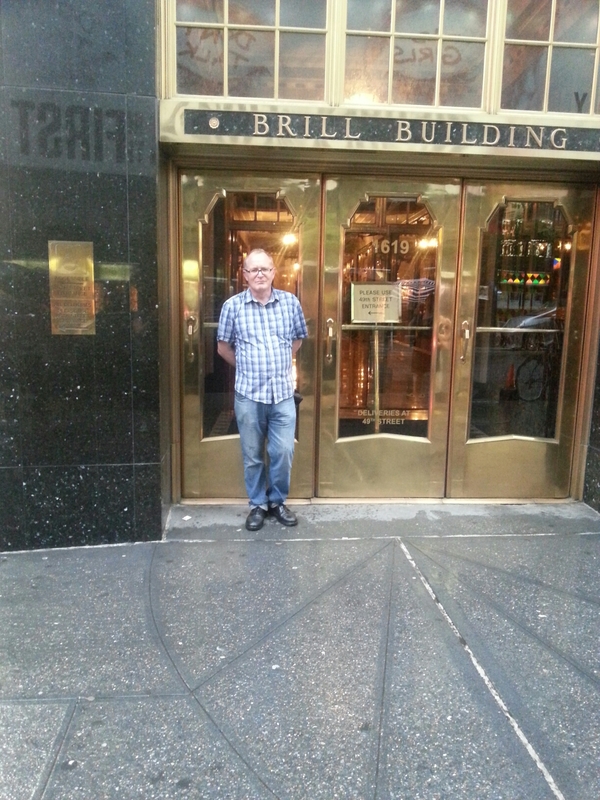 We visited the Brill Building, and in between the dozens of pedestrians hurrying home in the rain, snapped a few photos. We went up to the View Restaurant at The Marriott hotel near Times Square to have a cocktail and check out the view from the revolving deck. 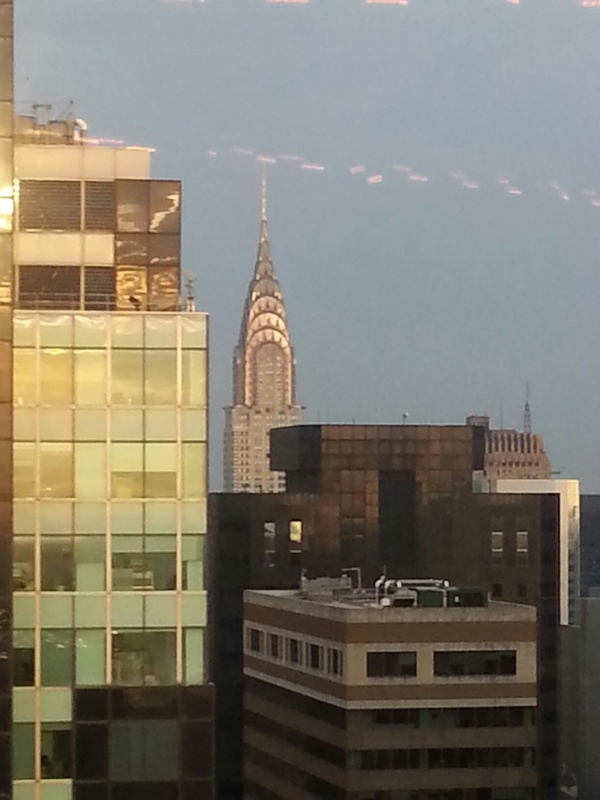 We were luckily to catch a glimpse of the Chrysler Building as the sun was setting. 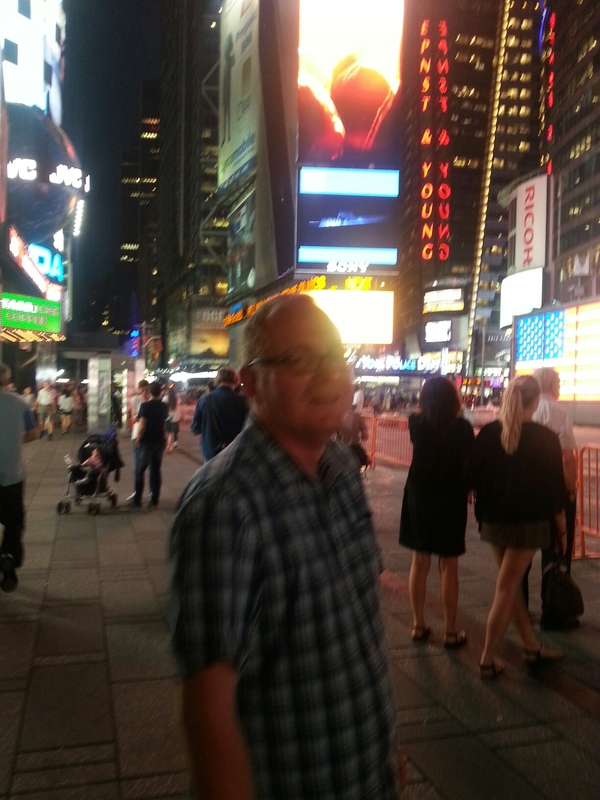 We saw the Bladerunner-esque Times Square en route to the subway. 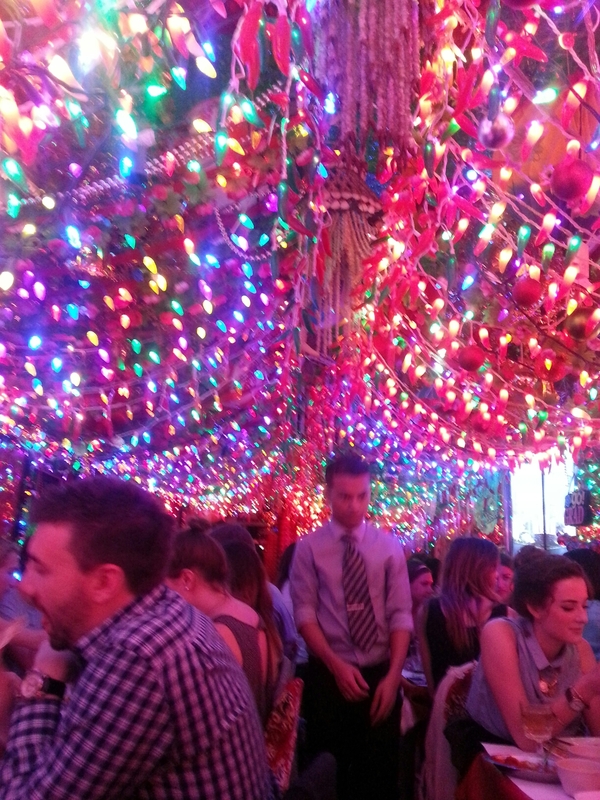 We had Indian for dinner at 10.30 pm at a restaurant called Panna II on the lower East Side, where it was lit up like a Christmas tree. I recommend the Balti beef! 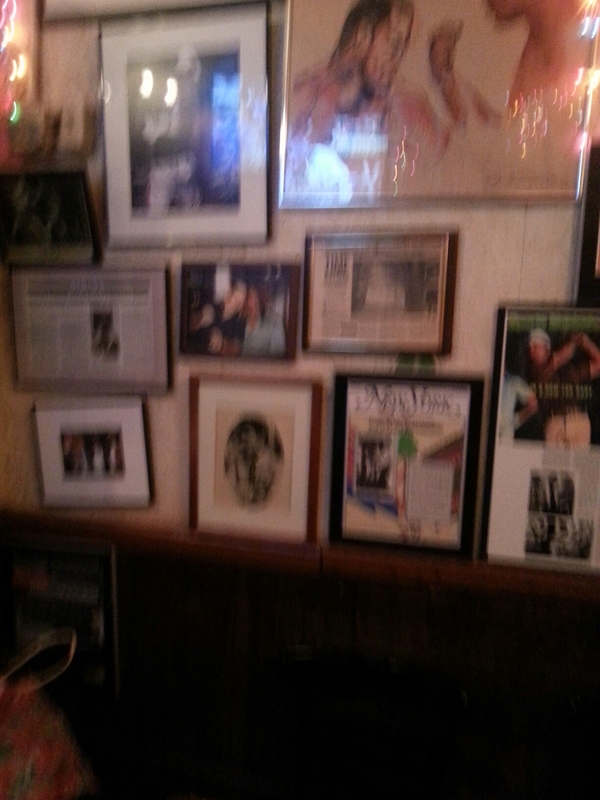 We then walked around the corner to our final stop, a bar that was a hangout for college students in the fifties and the decor had never changed. The wooden floors were creaky, and the air smelt of stale beer and popcorn. My phone had died, so sadly no photos, but take my word, it was a place of character. 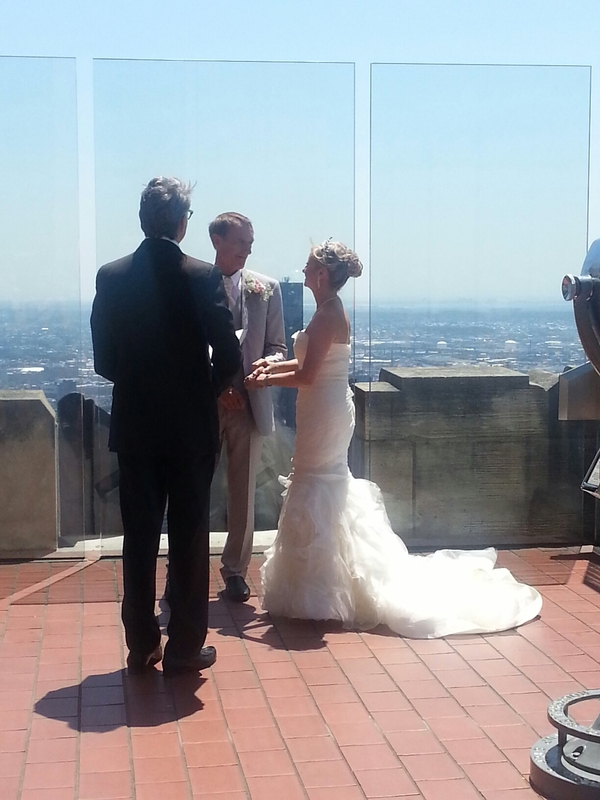 John and Beverly got married today, atop of the Rockefeller Center. They were so happy, and we were so happy for them. We will appear in their wedding photos :-). 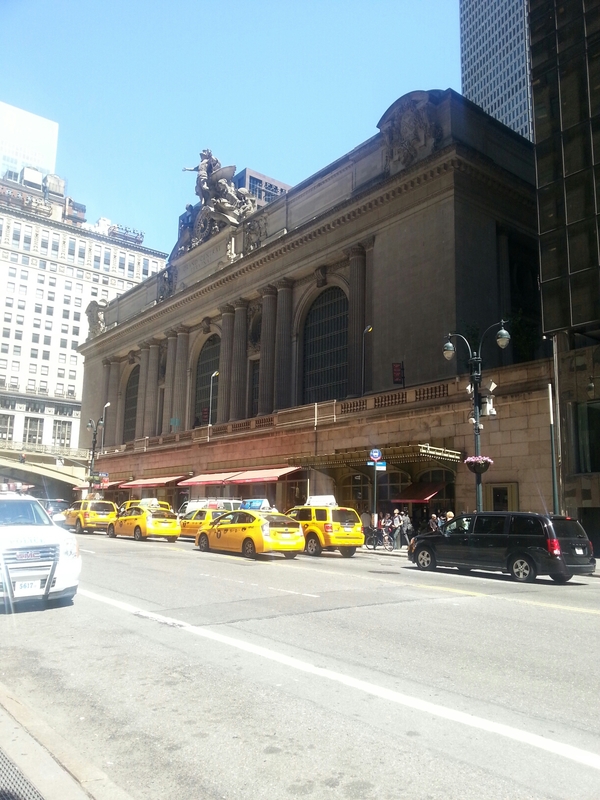 It was a fantastic day to be up and about in Manhattan. ..
Getting off at Central Station. .. Checking out the view. .. Visiting a gallery or two, followed by cocktails and a show :). I could get used to this lifestyle, if only my feet would allow it!